Comox is a seaside community of of 14,028 people and growing. Nestled against the Comox Bay and situated against the backdrop of the Comox Glacier on one side and the Coast Mountain range on the other, this town offers an idyllic lifestyle. Comox is the second-largest municipality in the Comox Valley and contains a multitude of economic assets that are significant on a regional scale, including a vibrant harbour and adjacent waterfront areas, the downtown, the current St. Joseph’s Hospital Site, 19 Wing Comox and the Comox Valley Airport (YQQ). Launch from the protected harbour around Goose Spit and head out for any number of ocean adventures in the Georgia Strait. Comox is nestled against the protected waters of Comox Bay whose entrance is defined by the Comox Spit. The Comox Harbour and its four marinas provide the main commercial and recreational access to the ocean for the Comox Valley. The views across the bay to the Comox Glacier and surrounding area are captivating. Its name is a derivative of the First Nations name K’omoks that dates back to 1862 when the Grappler, a gunboat assigned to Base Esquimalt, brought a group of pioneer settlers to the Comox Bay which was known then as Augusta Bay. As of the 2016 Census 14,028 residents called this charming retirement community home. Comox British Columbia is the perfect city for your permanent residence, real estate investment, or seasonal retreat. Known for its world-class fishing, challenging area golf courses, Comox is also home to new housing developments. 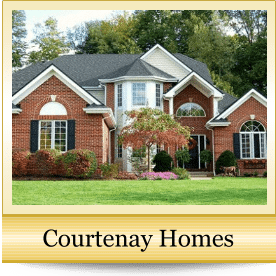 Comox Real Estate has a variety of new single- and multi-family homes and villas, as well as condominiums that mirror upscale resort-style living with a long list of amenities. Comox British Columbia Homes and Condos for Sale :: The homes in city range in style from West Coast Contemporary to grand oceanfront homes as well as custom built homes in the nearby platinum rated golf course community of Crown Isle - some with gated exclusivity - and vary from large floor plan condominiums to quaint, clustered rancher style homes. The residential properties are built around specific lifestyles or pastimes, such as golfing, nature or boating, surrounded by natural preserves, meticulously tended courses or beautiful landscaping. While in Comox, residents and visitors enjoy shopping, the arts, local attractions and a multitude of dining options - some right on the shore. The recreation and water-loving population boasts an active social life, making it a great place to live and visit.